After Manchester United midweek win over Cardiff City, Man United boss David Moyes will want to see his team build momentum at Stoke, where he may for the first time field Juan Mata, Robin van Persie and Wayne Rooney in the same side. Stoke City are in freefall having lost their last four games. The reverse fixture in October saw Manchester United win 3-2 but a more regulation victory for the champions appears on the cards this time around. Begovic; Pieters, Wilson, Shawcross, Cameron; Palacios, Whelan; Arnautovic, Adam, Walters; Courch. Substitutes : Sorensen, Butland, Shotton, Muniesa, Pennant, Walters, Guidetti, Odemwingie, Assaidi, Huth, Ireland. De Gea; Evra, Evans, Smalling, Rafael; Jones, Cleverley; Januzaj, Mata, Rooney; Van Persie. Injured/unavailable : Wilkinson (ankle), Etherington (calf). Suspended : Nzonzi (one match). Suspended : Vidic (last of three). 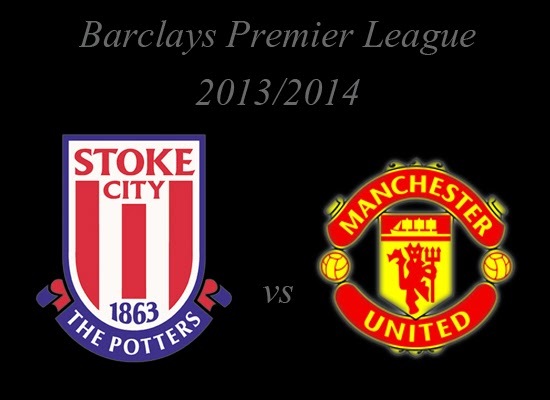 How do you think about Barclays Premier League Match Preview : Stoke City vs Manchester United?